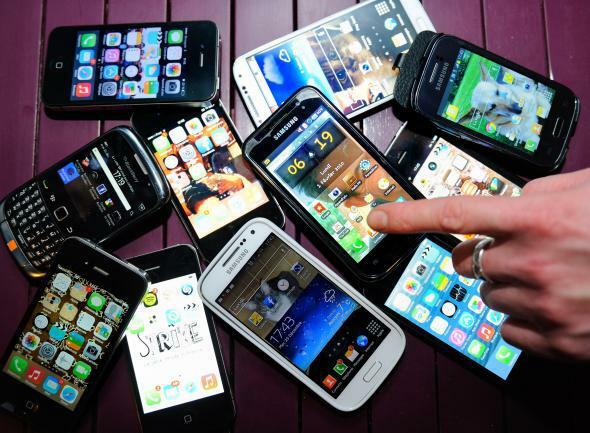 Smartphone theft is a big problem, says FCC’s Subcommittee on Mobile Device Theft Prevention. Thieves won’t stop taking smartphones until there’s a reason not to. Smartphone theft has been on the rise for a while, and numerous measures, including phone tracking and kill switches, are floating around as possible disincentives for thieves. An FCC report released Thursday shows that these strategies look promising but the overall theft problem is still critical. More than 1 million smartphones are stolen each year, and 34 percent of smartphone owners still don’t turn on any security controls. The FCC reports that in New York City, for example, 55 percent of all larcenies (thefts without force) included or were related to smartphones, and 46 percent of robberies (thefts with force or the threat of force) involved smartphones. In San Francisco the rates were even worse: Fifty-nine percent of robberies involved theft of a smartphone. And the report points out that 69 percent of the stolen San Francisco devices were iPhones. There are no current official national or international smartphone theft statistics. … The large number of law enforcement agencies in this country … makes the aggregation of mobile device theft data from law enforcement agencies a significant challenge … [and] there is considerable concern that the reported theft rate may be under reported, especially in cities that have not established a law enforcement focus on this criminal activity area. In some studies the FCC found that as many as half of smartphone users were taking security precautions like using a PIN. And the FCC also noted that 75 percent of respondents in one survey said they felt that protecting their device was their responsibility, which might show that consumers are open to taking steps to protect their smartphones if they have access to information on how to do it.